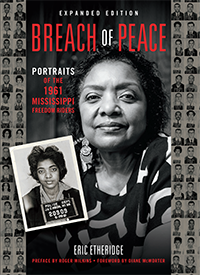 In 1961 Dodie Smith-Simmons wanted to be a Freedom Rider. A native of New Orleans, she had joined the local youth chapter of the NAACP at age 15. Now she was 18, a member of CORE and a veteran of marches and sit-in. But instead of going to Jackson and getting arrested, she worked behind the lines. New Orleans was an important staging city for the campaign, a way-point for Riders coming from the west coast and elsewhere. Smith-Simmons and her CORE colleagues housed and fed the Riders on their arrival, trained them in nonviolence, then put them on trains and buses into Jackson. When the federal government announced on September 22 that it would finally enforce the law, abolishing segregation in southern bus and train stations, it appeared that Smith-Simmons had lost her chance. But Mississippi provided nothing if not opportunities for Civil Rights activists. Many cities continued to segregate their stations, so New Orleans CORE began sending Riders back into Mississippi. The Riders managed to escape without any help from the McComb police, who were nowhere to be found, or the FBI observers on hand, as always, to observe and nothing more. But if they were paying attention that day, they did get to see Dodie Smith-Simmons become a Freedom Rider. Above, Dodie Smith-Simmons photographed outside the old bus station in McComb on April 16, 2012.